Sprouting beans for food is pretty easy. 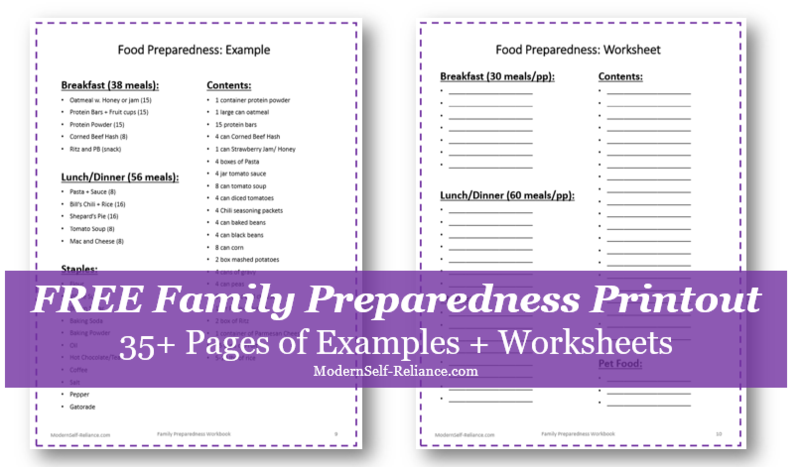 It provides fresh, nutritious food to break up an otherwise tired meal. Bean sprouts don't need sunshine or light, so they can be sprouted in places plants can't be grown. Bean sprouts jut require water and a in 5-7 days you will have an edible, bean sprout to add to your salad, fried rice, or sandwich. 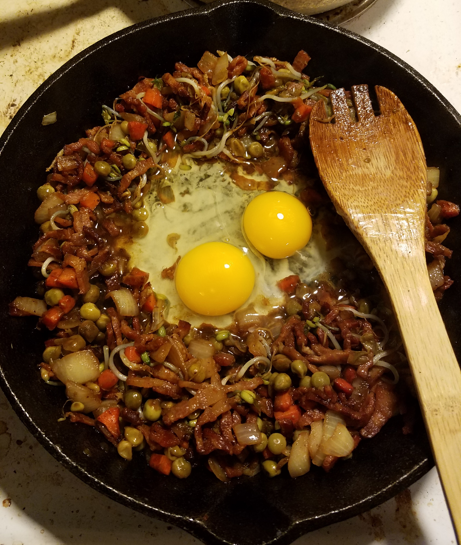 There are plenty of options for different types of bean and wheat sprouts, but the most common bean to sprout is the Mung Bean. These beans are what you typically find in the grocery store, and the ones served at Asian restaurants. But you can sprout almost any bean or grain, some might just be tastier than others. Although, is it not recommended to sprout red kidney beans. A source for exotic beans and grains to sprout is The Sprout People. Bean sprouts don't need sunlight and don't really want it either. They do need water. Water will convince the bean it's time to sprout and also the beans will absorb the water to create the bean sprout. The containers should allow the water to drain away from the beans, so the beans aren't sitting in water for too long. The beans will rot if they are submerged completely in water after the initial soak. The beans will also need room to expand as they grow. A cheese cloth or sprouting lid over a mason jar will do the job nicely. Fill the jar no more than 1/3 to 1/4 full of beans, as they will expand many times their size. 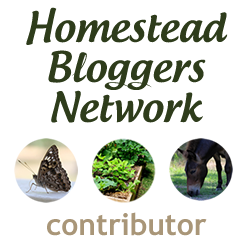 In the pictures, you will see my quart sized wide-mouth mason jar with a green sprouting lid. It has holes that allow the water to drain, but are too small for the mung bean sprouts. I lean my jar on the edge of the sink, allowing excess water to drain back into the sink. This is an out of the sun place for my beans to sprout. To convince your beans it is spring and time to sprout, soak your beans in room temperature water for 12-24 hours. This will start the germination process, just like the bean was going to grow outside in the garden. After this first 24 hours of soaking, the beans should not be immersed in water. They will rot if left sitting in water, but will die if they dry out. 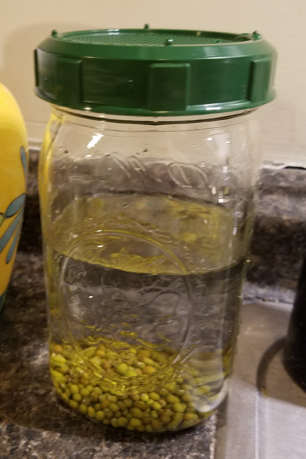 I added 2 tablespoons of Mung Beans to my quart mason jar. For the next week or so, rinse the beans thoroughly every morning and evening. With my sprouting lid, I did not have to remove the lid, just added water through the lid and drained with the build in strainer. It quickly becomes a small extra task, to rinse the beans in the morning while making coffee then to rinse the beans after dinner while doing dishes. 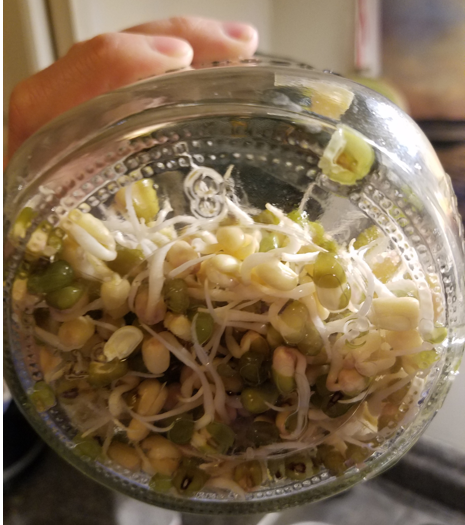 With each day, your bean sprouts will grow and absorb more water. When your bean sprouts are at the desired size you like, you can eat them. Easy as that. 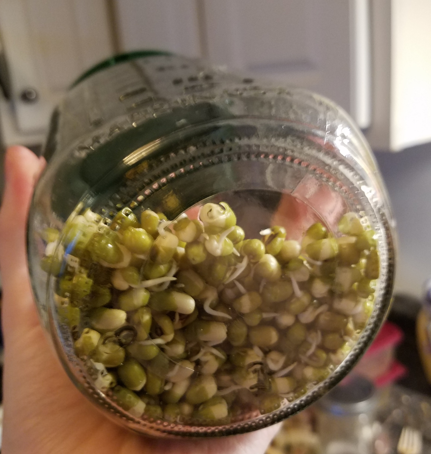 This will happen after approximately 5-7 days for your common mung bean sprout. They can be enjoyed on a salad, in a sandwich, or in Asian dishes like fried rice. Try putting them in soup or stews to mix things up. 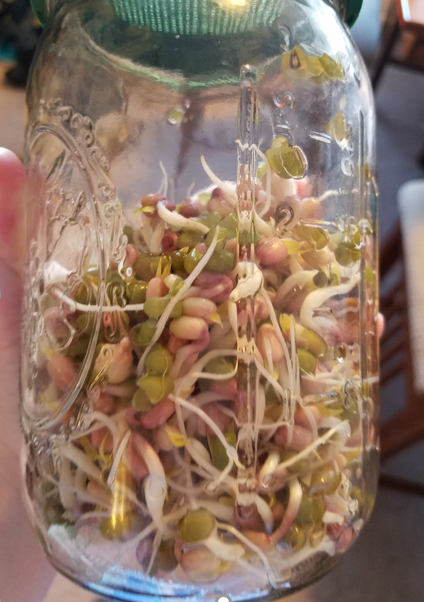 My 2 tbsp of beans became 4 cups of bean sprouts = 120 calories. If you haven't consumed all your tasty sprouts, they can be stored in the fridge. They should be mostly dry and in an airtight container. As they are still alive, they may still grow a small amount in the refrigerator. They will start to get slimy eventually, as they don't keep well. It is best to sprout small quantities in succession, so they are ready as you need them rather than sprouting a whole bunch at one time. Smaller jars started a few days apart, could give you a steady supply without the risk of sprouts going bad in the fridge. Beans can be stored in the dried bulk method for years. This gives the option of supplementing traditional long-term food storage with beans for sprouting. 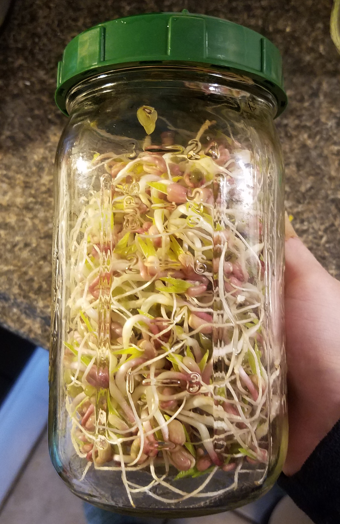 While they do take a significant amount of water, bean sprouts can liven up a meal and add a fresh ingredient during situations where fresh food may be scarce. Storing a bean like pinto beans could give you the option to sprout the bean or to cook it normally. (How to Cook Dry Beans) Would you give homemade bean sprouts a try? What are you favorite recipes that call for bean sprouts? Let us know in the comments below.